Red 2016 Toyota Tacoma SR5 V6 4WD Automatic V6 Tacoma SR5 V6, Automatic, 4WD.Every Used Car purchased at Tarbox Toyota includes a complimentary 1yr/15,000 mile Toyota Auto Care maintenance plan along with coupons for other valuable offers! Recent Arrival!Awards:* 2016 KBB.com Best Resale Value Awards * 2016 KBB.com Best Buy Awards FinalistCall or Email Tarbox Today To Check For AVAILABILITY!!! 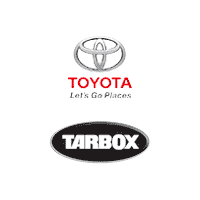 2017 Toyota Tacoma SR5 V6 4WD 6-Speed Automatic V6 Tacoma SR5 V6, 6-Speed Automatic, 4WD.Every Used Car purchased at Tarbox Toyota includes a complimentary 1yr/15,000 mile Toyota Auto Care maintenance plan along with coupons for other valuable offers! Recent Arrival!Awards:* 2017 KBB.com Best Resale Value Awards * 2017 KBB.com 10 Most Awarded BrandsCall or Email Tarbox Today To Check For AVAILABILITY!! !